Powertrain could be carried over from the standard i8. The BMW i8 Spyder concept that was unveiled more than three years ago is reported by Handelsblatt to be headed for production. It is said that the BMW Chairman, Harald Krüger, has approved for the concept to be produced, and told that it will be out 'relatively soon'. 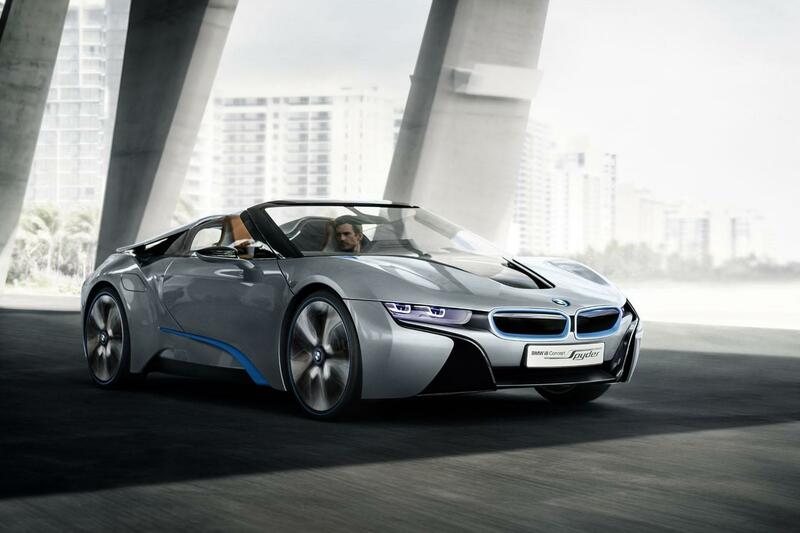 The standard BMW i8 hit the market in mid-2014, so the Spyder can be expected to be premiered sometime next year. Harald Krüger (BMW Chairman) has said that the production version of the BMW i8 Spyder will be out 'relatively soon'. The BMW i8 Spyder concept had an open top design with a semi-transparent hood, a highly-raked rear windshield with an integrated spoiler, and a shortened wheelbase. It is unclear to what extent its production version will resemble the three-year old concept. The BMW i8 Spyder concept was unveiled in 2012. 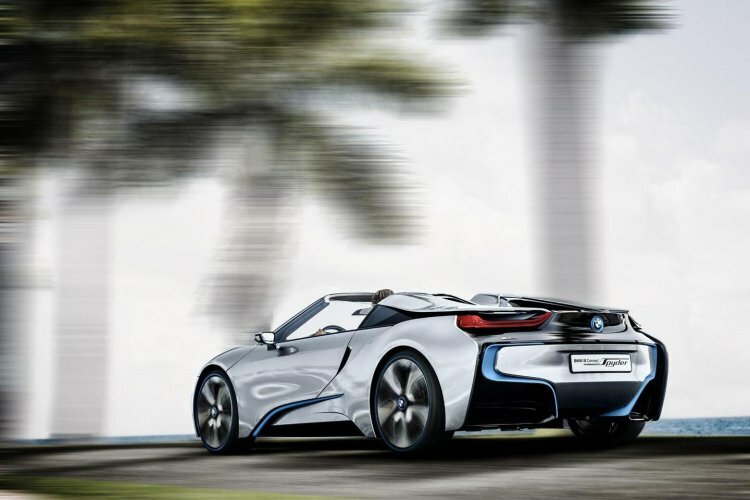 The plug-in hybrid powertrain doing duty in the BMW i8 is expected to be carried over to the Spyder. It comprises of a 1.5-litre three-cylinder TwinPower Turbo petrol engine, an electric motor and a lithium-ion battery pack, which together produces 362 PS (266 kW) of maximum power. The top-speed of the BMW i8 is electronically limited to 250 km/h (155 mph), and it delivers a fuel economy of 47.61 km/l. The BMW i8 accelerates from 0-100 km/h in 4.4 seconds.